If you are not a local, the island might sound a long way away, but our bridal shop is in the perfect location to make a real day-out of your wedding dress appointment. Our bespoke service and very competitive rural prices bring brides to our doors from all parts of the UK for our award winning customer service. We keep the current wedding dresses from all of the Forget me Not collections, in our store in Ryde. However, if a journey to the beautiful Isle of Wight is just too far to contemplate, you can find samples of our designs in a handpicked selection of first-class bridal stores around the country. Click on the stockists tab for details. *Alternative routes to the island are via Southampton to the Historic Sailing town of Cowes or Lymington to Yarmouth if you are coming from the South West. 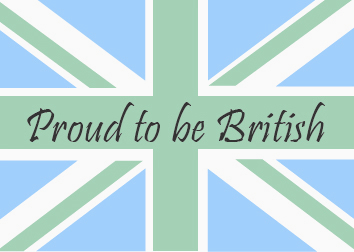 We are proud to be a British wedding dress company. Every Forget me Not gown is handcrafted on the premises by our team of highly skilled dressmakers. Established in 1989 we have been creating beautiful, bespoke wedding dresses for brides of all shapes and sizes for nearly 30 years. If you are tall or petite, young or old, round or pear shaped, flat-chested or well endowed - We have the corsetry skills to make the most of your figure, giving you the confidence to shine from within on your special day. Because all gowns are made to your measurements over three fittings, there are no alterations required on the finished dress so you don't need to factor that expense into your dress budget. Designer Geraldine Tulloch started the Forget me Not Label with a vision to create beautifully romantic gowns, using traditional sewing techniques for the modern bride who wants a gown that fits perfectly. 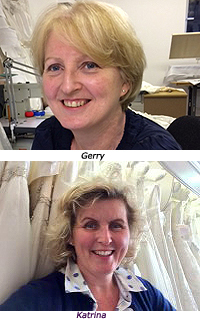 Nearly 30 years later with a team of seamstresses behind her, she is proud to be still flying the British flag, designing and making all gowns in-house and offering brides a bespoke, couture service at an exceptional price. Working with sister Katrina, their designs are romantic, chic and sassi, yet elegantly simple. Sourcing the finest silks and laces from around the world. "We love to create gowns that feel light and beautifully comfortable to wear. The corsetry hidden inside the bodice, enhances and supports the body, giving you a wonderfully feminine silhouette." "Choosing a wedding dress should be a wonderful experience, what ever your size or budget and making a day trip to the Isle of Wight will give you memories to treasure of this special time." After your visit you could stroll beside the sea with an ice cream, or sit and admire the view, whilst sipping a glass of Fizz and enjoying a fine lunch before heading home. We look forward to meeting you and will make you most welcome.